Best Western Executive Inn est idéalement situé dans le centre de Le Caire. Venez découvrir et profiter de notre hôtel à côté des principaux sites touristiques. Réservation au meilleur prix et offres exclusives toute l'année. Les hôtels de l'université d'État de Floride (FSU) proposent des chambres fantastiques à proximité du campus, mais toujours assez loin de la « vie universitaire ». Les hôtels proches de l'Antique Car Rally (rassemblement de voitures anciennes) à Syrup City sont difficiles à trouver lorsque les voitures de collection arrivent en ville. Mais notre hôtel de Cairo est l'endroit parfait pour les passionnés de voiture. Avec un bon rapport qualité/prix, des chambres spacieuses et impeccables et un service amical, nous proposons des chambres parfaites pour tous nos clients. Après tout, les hôtels proches de Tallahassee, à seulement 56 kilomètres, associent le meilleur de la vie citadine et le calme d'une escapade. Le football américain et les cérémonies de remise des diplômes à l'université attirent familles, amis et êtres chers de tout le pays dans notre hôtel de Cairo. Toutefois, réunions de famille, conventions religieuses et mariages se déroulent tout au long de l'année. Notre hôtel de Cairo vous accueille dans la plus pure tradition du Sud. La salle d'entraînement de Millsaps est à quelques minutes seulement de notre hôtel de Cairo, et séduit un grand nombre de nos clients. Nous vous proposons une literie de luxe dans chacune de nos chambres bien aménagées. Du Mule Day au Rattlesnake Roundup, il se passe toujours quelque chose dans cette partie de la Géorgie. Le défilé Thomasville City Rose Parade est une manifestation locale très appréciée, et de nombreux clients en déplacement viennent profiter des festivités. Notre hôtel de Cairo est également une destination de choix pour les voyageurs d'affaires en ville avec PFG-Powell Food Distribution et RBI Trucking. En outre, nous accueillons de nombreux employés de Seminole Marine Incorporated, Graco Fertilizer Company, Monrovia Growers Incorporated et Ira Higdon Grocery Company. Les voyageurs d'affaires de Flowerwood Nursery Incorporated et Homestead Imprinted Sportswear considèrent également notre hôtel comme leur résidence secondaire lors de leurs déplacements professionnels. 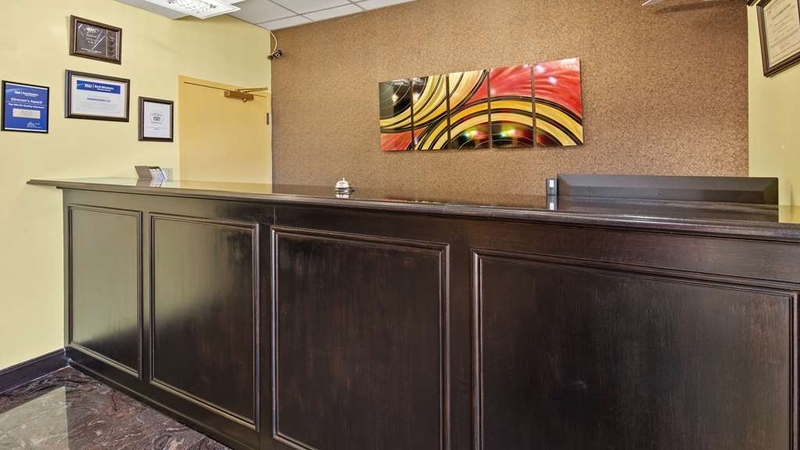 Pour un traitement personnalisé, réservez votre prochain séjour au Best Western Executive Inn ! Passez un excellent séjour ! We stayed two nights and found the staff very friendly and accommodating. This is an older hotel but the room was nice and clean. The free breakfast was wonderful! We would stay here again when visiting our family in Cairo. Thank you Patti !!! We hope you DO stay here again when you're in the area! We love our hot headed rican too! lol Jasmine worked for us a couple of years ago and we're lucky to have her back! Hope to see you again soon! Not the Ritz Carlton, but the staff is excellent and extremely friendly, the rooms are nice and comfortable. Excellent choices for breakfast and good food in restaurant ( Mexican ) Overall, a great value !!! Thank you BW !! So sweet! :) I hope you can come again soon! I have to say I was very pleased with my stay here. The room was very comfortable, staff accommodating and suited my purpose quite nicely. I spent four days in Cairo visiting relatives and for the price, this was the perfect choice. Dorothy, Judy and the front desk staff were outstanding. Nice complimentary breakfast and I'm disappointed I didn't get to partake at the Mexican establishment on site. Since Cairo is my hometown, I will definitely choose this BW for future visits. Awesome!! That's what we're aiming for! More improvements to come so keep coming back! very clean and the staff is friendly and helpful. the breakfast is plentiful with many choices. the rooms are upgraded and beautiful. We had a minor problem with the wifi when we first got there but we mentioned it and it was addressed immediately. Thank you for your kind words! We are working hard to be "on point!" We hope to see you again soon! My experience past to times have been the best. From the spacious rooms to the lovely channels on television. Your employees have outstanding customer service. I don't see why I wouldn't recommend others to come as well. Thanks a lot!! We're doing everything possible to be "on point" this year!! We hope to see you again soon! We usually choose a BW because of quality assurance. However, this particular BW did not uphold the standard of cleanliness usually found. The room was decorated nicely but the bathroom floor was filthy. Also, particles of dirt could be found along the baseboard. Ugh. The bed sheets were thin and worn. I did not sleep well. You're right! That is NOT our standard of cleanliness! So sorry you dealt with that. I am meeting with the housekeeing team today to review all protocols. There is no excuse... Please come again! Our goal this year is to be "on point!" Thanks for your feedback! See you again soon! Loved it! The gentleman who checked us in was helpful and didn't get grouchy about our dog. ($10 extra which is reasonable). The on site Mexican restaurant had good food and reasonable prices. Our room was clean and we slept well. I could tell that Dorothy works hard. Our best surprise was the breakfast. The food was delicious and Deann was super friendly. She really impressed us with the way she could multi task. We will definitely be back. No complaints. That is so nice of you to mention so many of our staff!! I am also glad you noticed our awesome breakfast! Come back again soon! Avoid this establishment if you can, tho there are very, very few options available in this area. Staff are friendly but ill-prepared to do the basics like knowing (or caring) which rooms are ready AFTER 3p check-in time has passed. Rooms are nasty (notice there are no bathroom photos and that's by design...); photos of most of the property are shockingly different from reality. The property is old, worn, and over-priced. Any purported updates are literally just lipstick on a pig. Our reservation was for a room not even available b/c a previous guest had upchucked all over the carpet and the poor housekeeping staff hadn't even gotten around to cleaning that room yet and it was already 330p. We were assigned a different room and of course charged a pet fee. Even the slightly discounted room rate offered on the smaller room was a rip off. Wonder if the humans who trashed that room and others Saturday night were charged a cleaning fee? While the surrounding property is grassy and nice and the pool looked ok, do yourself a favor and avoid this old, dirty, ill-maintained motel. 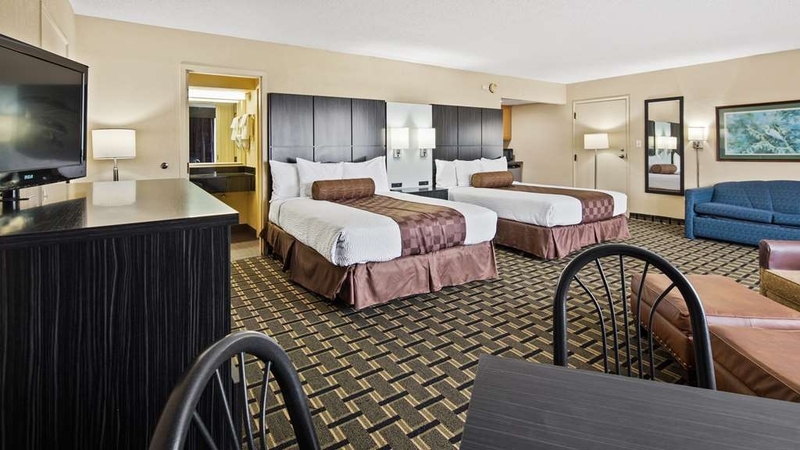 Best Western should be ashamed of themselves for their rates and their misleading photos. Thank you for taking the time to post your comments about your stay. We will use them to ensure guests in the future will have an exceptional stay! We have stayed here many times over the past few months while working on our hunting lease. Fairly average hotel. It has been recently renovated. New carpet, new tile, etc. It does have a mini-fridge and microwave.They recently added a Mexican restaurant in the hotel. We have not tried but menu looks good. For the area not a bad hotel. We will be staying here quite a bit as it is the closest to our hunting lease. They do have a pool and the breakfast is okay. Thank you for your review of our hotel! We appreciate your feedback. The Mexican restaurant is VERY good with a full menu, you should definitely try it when you come back! Thanks again! Nice, quiet hotel reasonably priced. Staff friendly and efficient. Plenty of hot water, good water pressure and drains worked as designed (not clogged). Good sized room and comfy mattress. Breakfast area small but hot/cold breakfast offerings plentiful. Walmart nearby. Would stay again .. Such a well written review... I appreciate it and hope you come again soon!! Visit my kids in Cairo atleast 3 x a month . Stay there by myself and they have always put me on ground floor . I feel safe and everyone is so nice . Never a problem with anything . Only thing I would change is air freshener in rooms . Thank you so much for your kind review of our property. We look forward to seeing you again! Thw hotel was nice, the people were very friendly, and they had a very nice breakfast. The room was very nice and a nice set up. A very comfortable bed with fluffy pillows. The internet was high speed. Thank you for the kind review! We hope you can come stay with us again in the future! "Quaint Inn With Lovely Staff"
For a business trip this was a wonderful stay. From the moment we walked in the Staff was friendly, accommodating and provided us with everything we needed. They offer a full breakfast which was lovely, a pool that is refreshing and you are off the beaten path is a beautiful area. The room was lovely. Beds were comfortable, clean and the pillows were a dream. There was a microwave and a fridge in the room which was exactly what we needed. The bathroom was clean and stocked up with towels and toiletries. This Inn is well worth the cost and we had a great stay! Thanks so much!!!! We look forward to your next visit! I was helped by Princess Joy at the front desk upon arrival and during my entire stay she really went above and beyond to accommodate me and my group. She was fast and efficient. Thank you, Joy, you're awesome! Thank you!!!!!!!!!!!!!! Joy brings JOY to many people! See you again soon! "Professional staff, comfort & safety all in one place." We could not have asked for a more pleasant or professional hotel staff or lodging experience. From my first direct call to the hotel through check-in to check-out, the entire experience was excellent. I would have no hesitation in staying at this location again. Every attempt to meet our needs and assist us throughout our stay was extended. 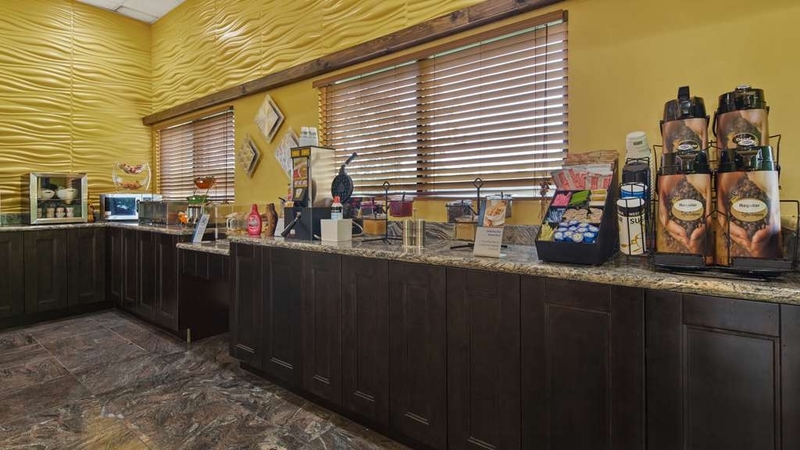 Being unfamiliar with the area, the staff and their care in assigning rooms that met our needs at this Best Western made us feel confident we chose the right hotel. I also deeply appreciated the later check-out time and bereavement discount. Thanks Georgennia! I hope you will come again under better circumstances next time... See you soon! "Good value, but getting tired"
Thanks for your kind words! We have started a complete refresh to address some of the things that are starting to show a little age. FYI, breakfast starts at 6:00 every day! I recently increased breakfast hours on Sundays to 11:00 which is a big hit. I hope you come again soon! "Best Western is your Best Bet"
The Best Western Executive Inn in Cairo, GA was a real diamond in the rough. When driving thru the small towns of southern GA, there does not look to be a lot of attractive options for lodging. I was able to find one at The Best Western. The staff was very friendly and helpful. The room was clean, beds were very comfortable, and had fridge, microwave, and coffee pot(bonus their coffee pot was not in the bathroom like some hotels) in the room. The modest price of the room made this decision even better. had I traveled 30 more miles into FL, the cost of this room would have been triple what I paid. I was directed to The 3 Squares diner for the best late night eating in Cairo, GA. 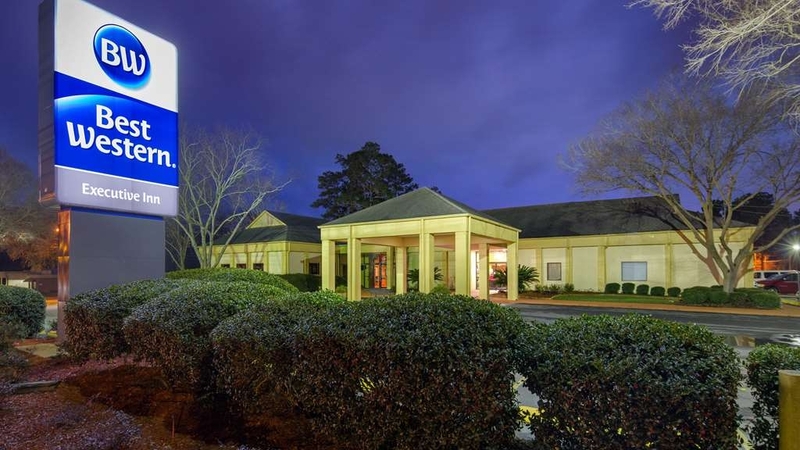 Traveling from TN to FL is a long drive, all future trips will go through The Best Western Executive Inn in Cairo, GA. I had such a big smile on my face when I read this!! Definitely stop in again! We called for early checkin explaining that we were coming into town for a funeral. They assured us they would have a room ready. Upon arrival the staff greeted us and told us our room was ready and ask if we needed anything else. Rooms looked as if they had just been remodled and were very up to date and very clean. Beds and pillows were very comfortable and we had a great nights sleep. At checkout the manager ask how they could have improved our stay and we told him we could not think of anything. We will be back. Thanks! And I'm glad to hear you'll be back! Thanks Nicole!! That is so nice of you to take the time to tell people about your stay. See you again soon I hope! "Head Honcho"
My boyfriend and I had an awesome stay here. Doug, the general manager was friendly, kind and extremely accommodating! The room was clean and comfortable and I would recommend this hotel to anyone traveling or staying in the area! Thanks for a wonderful stay, Doug! Thanks Char! You two are welcome back here anytime!! The room wasn't the cleanest we've seen - the floors weren't totally clean. The stairways outside were not swept. The breakfast was nice and the staff very friendly. If you want to stay in Cairo, there aren't a lot of options, so this will suffice. Thanks Steve! We'll work on those floors and stairs so come again soon! I will be back, but rooms need be cleaned and inspected a little better before other guest check in, and accounts need to be credited in a timely manner I work for my money just as well as anyone else and these days a $1 means a lot. Thanks for your comments. I'm glad I got a chance to meet you! We will be addressing these issues more adequately in the future!! See you soon! Mattresses are horrible.........big dip in mine and felt like I was going to fall out of bed. Sheets very worn. Noise level was unbelievable both day and night, from adjoining rooms at night, and from housekeeping during the day. I'm sorry your experience did not live up to our standards. We are modifying procedures accordingly. I hope you give us another chance! This property is always comfy clean and devine.the staff attended my comedy show. My room was poolside and clean comfy and nice. I got upgraded to a jacuzzi in the room there is a great breakfast this is the place to stay in cairo .convenient and affordable. Thank you funny guy! We look forward to your next visit/show! Found left over food in the fridge, door had to be shoved closed, room smelled like food, bathroom not up to BW Plus standards of clean, or at least others I have visited. This may be my last stay at BW. We're sorry your experience did not live up to your or our standards! As a point of clarification, we are not a Best Western Plus. I hope you will give us another chance! This is a great hotel. The breakfast is hot, with a huge variety of foods, juices, and great coffee!! They even have a full waffle bar with lots of toppings to choose from! Very Friendly and caring staff!! Thank you! We have put a lot of work into our breakfast and it is now in the top 10% of Best Westerns! Come again soon! I was very impressed with my stay at this hotel. The staff was great and we experienced no issues. The rooms were very nice and clean. I would certainly recommend and stay at this location. The full breakfast was a nice touch as well. Thanks L'eroy! We look forward to your next visit! "Best choice in Cairo, GA"
We've stayed here before for family reunions in the area,and the hotel has improved over the years and after it's remodeling effort is now a quite nice place to stay in the Cairo, GA area. By far the best choice for this city. Rooms are very clean, staff is friendly and helpful. Joy at the front desk was also very friendly and respectful. 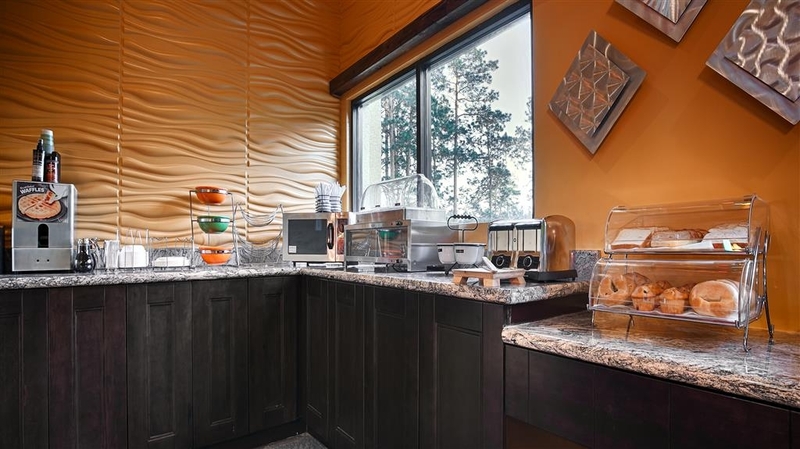 Breakfast buffet is well stocked with a variety of foods for adults and kids. Will stay here again. Thanks Paul! That's what we love to hear! Not only was the hotel very nice but the night manager was very helpful by providing information on local things. He went out of his way to make the stay very enjoyable. Would recommend staying at this hotel. You must be speaking of Raymond! Thanks for your kind words and please come back soon! This is a very good older hotel in Cairo, GA. I have stayed here twice this year. Both stays have been satisfactory. The breakfast is better than average for a hotel. The room was clean the wifi works and the bed was comfortable. Thanks for your kind words Ronnie. We'll see you next time! "Great for our group of 40"
Doug the manager was amazing. He was very accommodating and got us set up in rooms that were close together for our school group on a trip to the Ag Expo. Our group of 40 was well taken care of at breakfast each day and there was plenty of seating. We enjoyed our stay and can't wait to come back next year! That is so sweet! We enjoyed having you! See you next year! 11 out of 10 great beds, smoking rooms smelled great!! Great breakfast with a helpful and courteous staff. LOVE THIS HOTEL!!! By far the most accommodating staff and comfortable hotel in the surrounding areas! Love it!! Thanks so much for taking the time and effort to post your experience here. Hope to see you again soon! This is a nice small hotel out of the main part of town.The rooms and the grounds was very nice.Doug the manager and Joy was at the desk at check in, they were very friendly and helpful. All of the rest of the staff that we came in contact with were also friendly. Breakfast was very good. If in the area we would stay here again. Thanks!!!!!!! My staff is awesome. I love them so much! Can't wait for your return! We enjoyed our stay. The rooms were clean and well decorated. The grounds were pretty. I would like to commend your employee Raymond at the front desk. He was extremely professional, kind and offered outstanding service. He is a real asset to your hotel. Thanks so much for mentioning Raymond. He is the best! I'm glad you enjoyed your stay! Come back anytime! "A Perfect Place to Stay Away From Home"
I was in town for my 40th high school class reunion. I could not have chose a more perfect place to stay. The hotel staff did a special event for our class. The manager, Doug, welcome us with open arms and made the reunion all the better for my coming back home. Thanks for making this your temporary home! I will be looking for you on your 50th!! Only stayed one night, room was clean, few little minor issues which was brought to the attention of the front desk, arrived late that night so only came in contact with the nice lady at the front desk and had to leave early the next am so again only one nice lady, but was happy with the room, and the service, may be back down in the area in the next couple of weeks and if so will stay here, is an older property but all we ask for was a clean room and hot water to shower and had both so was happy!! Breakfast was great!! Lobby was nice and clean! Stayed on the first floor, was nice and quiet! Thank you for telling the world about your experience! We do hope to see you again soon! "Clean premises and Excellent staff"
I had read reviews on this location prior to booking it. I was not disappointed. The location was good for what I had come to the area to attend, and some good eating establishments were nearby. I was blown away by the friendliness and quality of the staff. Thanks, Tasha....You are the definition of what customer service should be..
Tasha was blown away by that. Thanks! Hope to see you again soon! Great hotel with a wonderful breakfast! The breakfast is out of this world! The lobby is beautiful and cozy for the breakfast. 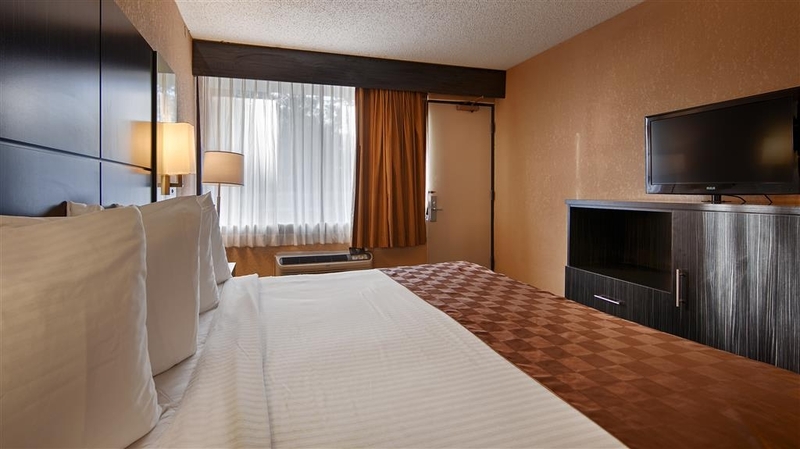 Rooms are very clean and renovated with nice flat screen tvs, refrigerators, microwaves and hair dryers. Very quiet. Beautiful pool! So many nice surprises and so close to Cairo. Hotel surrounded by a nice neighborhood that is safe. Thank you! Thanks Kristen!! It's nice to have all our hard work appreciated! Come back again soon! "Great Stay - Great Staff"
Fantastic stay - fantastic staff. Came in late at night, called ahead to let them know we were on our way. Raymond, who answered, reassured us he was waiting for our arrival. He was so pleasant when we arrived and when I asked if the roll out we requested was in the room he immediately double checked before we had a chance to unload a bag. He let us know the hotel was packed and he was working on getting breakfast prepared early to accommodate everyone. The room was great, no problems. Clean linens and en suite bathroom. There was a fridge and microwave in the room and the bed was comfortable. Raymond was still there in the morning when we went in for breakfast, as cheerful as when we arrived. I don't know that I've ever encountered hotel staff as sincere and friendly as him. Breakfast was great, included biscuits and gravy, eggs, sausage, waffle bar, fruit, pastries and yogurt with gluten free options available. The coffee was some of the best hotel coffee I've ever had but i also took the opprtunity to splurge by adding some caramel from the waffle bar on my second cup. Upon leaving the staff asked how our stay was and if there was anything they could have done better. I was really impressed by the whole staff. It's hard to know what to say except THANK YOU!! Raymond was so happy your remembered him. Come again soon! We were there for a wedding in Bainbridge. The room was clean, had a nice king size bed, and a hot breakfast each morning. I would stay again! Joy was an absolute delight! She was friendly and accommodating to our needs. Great! Thank you for mentioning Joy. She is new but is jumping right in!! Very quiet and peaceful stay. The room was clean and comfortable. Hotel staff very friendly and helpful. Hot breakfast next morning. Made sure we had clean towels for next day. Would stay here again if we happen to be in the area. Thanks Freda! See you again soon! The hotel is a very nice place to stay when in Cairo. Our family lives in Cairo so this is a great place close to everyone when we need accommodations. The rooms are very clean! The breakfast is the best which included flavored waffle mix and a great variety of pastries, eggs, meat, biscuits, gravy, coffee, and juices. Joy is so very nice at the front desk and makes you feel appreciated as a customer. I also was very happy to meet John who will make sure the room is great if you have a maintenance need. It was a nice quite stay and great price. We will definitely return. Thanks! So nice! Thanks for mentioning John and Joy. Joy is new but doing awesome! Can't wait for your return! 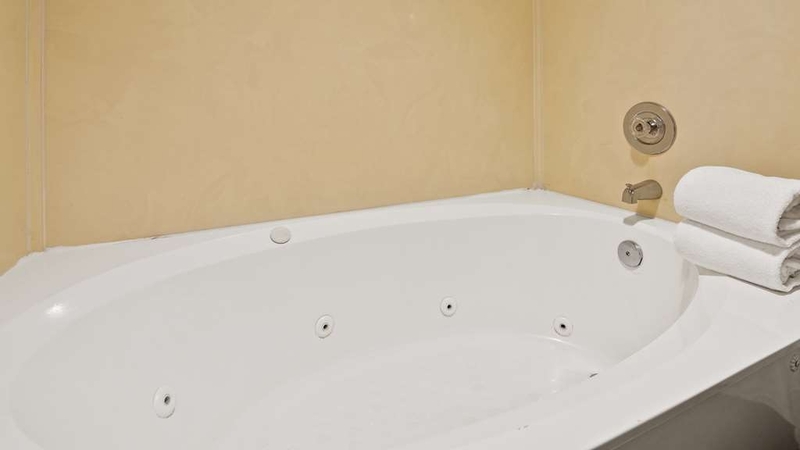 "Southern Hospitality for you and your pet"
This property is exceptionally pet friendly. We think the biggest plus is the very large grassy area between the property and the highway... our 10 month old Black Lab thought running off leash under voice command was just fine, thank you very much. Room was clean, neat, and tidy with good TV and wifi. Our pet friendly room had ample room for our portable crate plus space us humans too. King bed was superb and room was very quiet. Staff suggested Cairo's Mr Chick as a nice place to eat... great fried chicken, steaks, chops and burgers. Very busy, very upbeat, all in all great Southern food and hospitality. My partner and I attended the wedding of my grand niece in a close city. The hotel was convenient, clean, and welcoming after a busy travel day and a fun time at the wedding. The only negative component of writing reviews is the word requirement. Sorry you had to write so many words! lol Thank you for taking the time to let the world know about your great experience with us. I hope your travels bring you through Cairo again sometime! The customer service was ok for the most part. My husband and I stayed a total of two nights. We were greeted upon arrival and were checked in, but I was surprised when I provided a credit card, but was not asked to provide my drivers license for verification purposes. Our room was ready when we arrived. We initially inspected the room and from the door it looked ok until we started looking closer. The refrigerator in the room was leaking water, and the shelf inside the door was held together with duck tape. The bathroom tub still had hair in it from the previous user. At night, it was a whole different story. My husband got up from the bed to go to the restroom only to find out that several lizards scrambling on the floor. He politely pushed them outside of the room only to find over a dozen more outside the door! We didn't ask to move because it seemed to be an easy fix to just kick them out (we were on the 1st floor). The second night our keys did not work so we had to have them rekeyed. The guy working that morning was kind and did that for us with no problems. About 12 midnight, we had just arrived back to the hotel from a wedding only to discover several roaches clinging to the bed sheet. Luckily, we have no intentions of ever needing to travel back to Cairo, GA. The quality of the room and service provided was not worth the price we paid. Thank you for your review! We will use your comments to ensure our guests have a superior experience in the future. Thanks Brandy! We did the best we could in a challenging situation! Come again when there's no hurricane!! The staff was very professional, sympathetic and nice. The properties and the rooms were clean. Though the hotel was in the path of hurricane Irma, the staff held their composure and professionalism in spite of the hectic and intensive customers needing rooms in the area. You know what? That just made my week! We worked our butts off and unfortunately not everyone could find it in themselves to be appreciative for what we were able to offer during that stressful and hectic time. As I told my staff as the hurricane approached and we were getting bombarded with calls, "Get ready. You will be busier and more stressed over the next week than you ever have been. And, we will get more criticism and complaints than positive comments." Thanks for taking the time to prop us up! Need a place where you can feel completely at home.this is the place?.friendly personnel greet you and make sure all your needs are taken care of. The breakfast is very good and has a variety of items to choose from. Thanks Doug! Keep coming back! 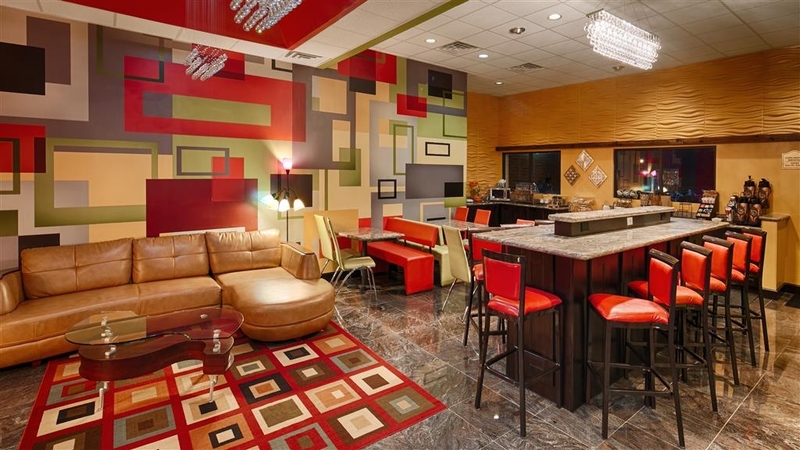 We chose this because it was the ONLY hotel with room available that was FEMA approved. This place does not look much like the pictures. Front desk was very nice but only one person and very busy. They have two floors, and no elevator and no luggage rack. They have something that looks like a dolly. Outdoor pool that didn't use. The grounds were not clean. The room was VERY clean. Sheets did have a lot of stains on them. I'd say it looked like they remodeled the whole room except the bathroom. VERY old and moldy. And the one mustard color, stucco wall that was so badly painted NEEDS to go. Old, small towels and only two per room. But the worse thing that happened.....we checked in, brought our stuff in the room and then went to get something to eat. When we came back, our keys didn't work. We went and got them fixed. When we got in our room, we found a soda container from a restaurant that we didn't leave there. So someone was in our room while we went and ate. We immediately went back to front desk, to which she said that maintenance might have went in there to look at the air conditioner. I think that is UNACCEPTABLE. I wouldn't stay here again, unless I absolutely had to. I'm sorry your experience was not up to your standards or ours. You may be aware that we were full every night for a week and were fielding 500 calls per day. We did the best we could given the circumstances. I'm happy to hear the stay did not cost you anything. 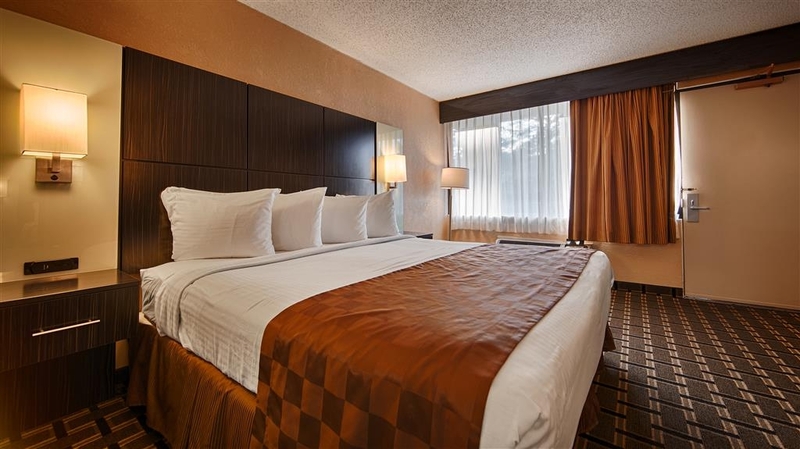 "Excellent service and beautiful hotel. Friendly staff. Breakfast was always good and hot. Great location and clean." That just warms our heart like nothing else! I'm so glad you had a great experience, and we DO look forward to your next visit! On July 28, 2017 we were involved in an auto accident while traveling through Cairo, GA and the Best Western Executive Inn was recommended as a place to stay. The staff was very helpful to us during this stress time. Even though they were fully booked, they were able to provide us with a room. The next morning the breakfast was really good with eggs, bacon, biscuits, etc. Staff helped us find transportation to pick up a rental car and were very courteous and friendly. The room was clean and comfortable. We would recommend them to anyone staying in that area. A special thanks to Raymond and Dorothy who were so helpful to us. So glad we could be there for you during your difficult time. And thanks for mentioning Dorothy and Raymond. Don't tell anyone, but they're brother and sister! :) Come stay with us again, even when you don't have an accident! Every year the Blantons family have a reunion in Cairo GA and book out this BW. Everyone enjoys the hospitality of the staff and the amenities especially the pool! The Blanton Family Reunion is a special event and Best Western of Cairo GA makes it thatuch more special. I'm so glad that even though I was away last week the staff continued to be awesome! We're so glad you come every year, and they did give me the Blanton calendar and phone directory! See you next year! It was a Great STAY!! Thank you Trip Advisor!! Customer Service was great along with the rooms, that was very contemporary. The shower I loved due to the shower head/handle. The room was very spacious although the bed was very squeaky. Nice place to stay, great staff. Good breakfast with many different choices. Staff make a great effort to welcome you and make you feel at home. Location is close to center of town and very convenient. Thanks a bunch! Hope to see you again soon! We have stayed here several times we continue coming back because of the excellent customer service we receive. The front desk clerk, the breakfast area staff and housekeeping are all excellent. We could check into much better hotels but we chose this one for the superb service very friendly..
Would definitely stay at this hotel again -- very clean and comfortable. Employees are very helpful and friendly. Happy they offer a complimentary breakfast -- that was tasty. Also, the breakfast area was clean. Enjoyed the choice of juice vs coffee. Thanks! This is the best employee team I've ever had! And thanks for noticing breakfast. We've really upgraded it over the past year! See you again soon! The services for business, cleanliness of the room, grounds and lobby, and hospitality were fabulous . The location was perect. Breakfast was very fresh and the coffee was good all day. The staff was extremely helpful with directions and sending faxes as well. Beautifully said! We look forward to your next visit! Jasmine was very respectful and helpful at the front desk. The rooms are very clean. My next visit I will stay here again. I would recommend more people to stay here. Breakfast was great!! Thank you!! Thank you! Jasmine is great! Come again soon! Hotel was nice and clean. Ms Dorothy in housekeeping was the bomb. She is such a caring woman. They need a Ms Dorothy in all hotel. I never needed anything because of Ms Dorothy. Exterior was nice and inviting. Breakfast was good. Miss Dorothy is the best!!!!!!!!!!!!! I love her!! And she loves Best Western!! Thanks for taking the time out to mention her. I showed her and she was thrilled! Come again soon! Best Western Executive Inn Cairo, Georgia is a very nice and clean hotel. The staff was wonderful and the FREE breakfast was great. The location is less than a mile from restaurants and Wal-Mart. Pool area and landscaping was nicely clean. Free Wi-Fi and excess to hot coffee all day for the coffee lovers. Only thing, no elevators but it's only two floors. Thank you! We have more good changes in store, so keep coming back! The staff was like family. They went out of their way to make us feel welcome. It was genuine southern hospitality. People speak to each other in Cairo. The strawberry waffle was good. I asked for bacon because they'd run out. The manager made me a fresh batch. AFTER she made it I realized that she would have been well within her rights to say no because I was a little late for breakfast. My regret is that I forgot to write down the names of the managers from night of 23 June - morning of 25 June. Wow!! So nice! Well, the manager was not me because I was away! So Tasha, Deann, Jasmine, and Raymond were running things! Come back for more strawberry waffles! My mom and I went down for my Great -aunt's funeral. Our room was really nice. The tub had mold in it, we got there around 9 in the evening. Above us were thugs hanging out on the walkway with cell phones dealing drugs. I actually saw a buy happen as we pulled up. When I got out of my car one of them pointed his finger at me menacingly. They were playing really loud bass rap music. It was a little scary. There are no other hotels in this town. We reserved three nights and decided not to stay the third but were charged for it anyway. It took two hours, a call to their corporate and a call to Visa to straighten it out. Some of my other family members were staying there too. They had the same problem checking out but were charged an additional $14 for hotel reservation fees per night for five nights instead of three. I'll never go back. Or, go to another Best Western again. Sorry about the guest behavior you witnessed. As far as reservation fees, cancellations, etc., these rooms were booked through a third party so Best Western had nothing to do with it, but I'm sorry it happened to you. Come again soon! The room was outstanding,Great southern hospitality! Great Breakfast every morning No worries,no hurries. Close to all the eatery and gas station. only six miles from the wedding site! The husband family all stayed at this hotel. Yay!! Come back any time! "always love the pancakes for breakfast"
Thanks Phyllis! See you next time! This hotel was awesome and one of the cleanest and well managed BW I have ever stayed in. The front desk clerks were very professional and friendly. Property was well maintained. Breakfast items were fresh and ample. Thanks Nell! That means a lot to me/us! I hope you come back soon! "Needs updating. Friendly check in!" Excellent front desk lady at check in! Helpful, cheerful and very courteous! Room was very outdated and needs attention. Bath towels were mismatched and thin. Room had a terrible, stale odor. There are no elevators, just stairs. Thank you for your balanced review! I take all comments very seriously. Rest assured we will work hard to ensure future guests have the superior experience we are known for! Our recent stay was for a college graduation in Tallahassee. All options there were sold out or way out of our price range in Tallahassee, so we ended up here. The building is old and has exterior door entrances which always makes me uncomfortable. 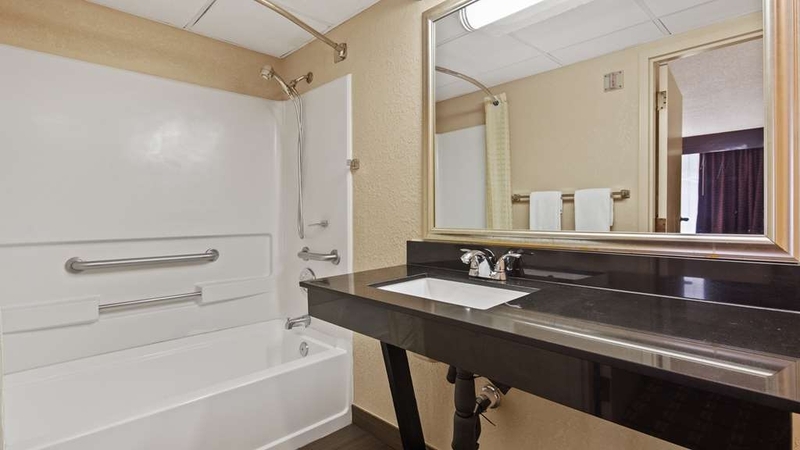 The room itself looked fine when I initially walked in, but the bathroom was very clearly outdated and the ceiling tiles over the shower appeared to be moldy and as if they could collapse at any minute. The bed was decently comfortable. I only need to sleep and shower there, so it was fine. But I wouldn't choose to stay there ever again. I was also irritated that housekeeping knocked on my door at 8:25am on a Saturday morning. I wasn't able to open the door and she kept knocking and tried to enter with her key. I finally made it to the door to send her away. I've never had housekeeping show up that early. I thought it was inappropriate. Thank you for your comments Melissa. We will use them to ensure we provide future guests with a superior experience! Mold around the tub, smoke in a non smoking room, shower broke,carpet smell, wash clothes terrible,toliet leaking, maintenance man stated he been trying to fix for a while. My stay was awful. To tired to go any where else. Thank you for your comments. I'm sorry you did not find the room up to our normal standards. I have personally investigated everything and made corrections where necessary. "These folks exemplify Southern Hospitality"
I recently stayed in Cairo with a group for almost 2 weeks. We were involved in a dog test, so had dogs with us. The staff was welcoming and accommodating to every request. They even prepared a special breakfast for our group that was delicious! The rooms were cleaned beautifully every day. This hotel is a great value and I would definitely stay there again. How nice!! We hope you DO come again! "Best Western Inn, cairo Georgia"
Everything was very pleasant and the staff was very professional in helping me with whatever my needs were ie: extra towels; extra toothbrush and coffee. It made me feel very good to there at that location. Which made my trip that much more enjoyable for me and my granddaughters. Thinking of doing it again with my girls. Thanks Best Western Cairo, Georgia. Thank you John!! Your experience is what we strive for with every guest. I hope you DO decide to do it again soon! Yes, whirlpools are just the ticket after a long and stressful day! We're so glad you stayed with us, and I hope you have a chance to come back again! 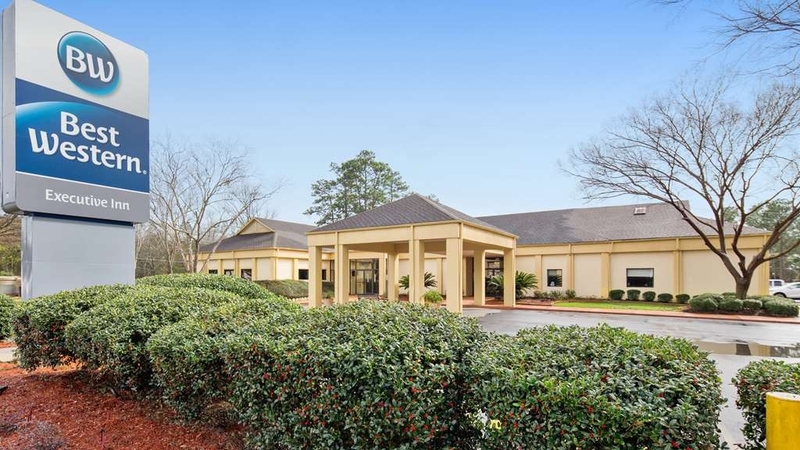 After learning the whole city of Tallahassee hotels were booked I saw a gourgous fully remodeled Best western in cairo Georgia. They had reserved the 2 room size executive suite. It was as big as an apartment and reminded of my dorm room lol. Staff was excellent and the stay was awesome. It was convenient on the way back to Atlanta and turned out to be a quaint town and property. This was a clean and well cared for motel. 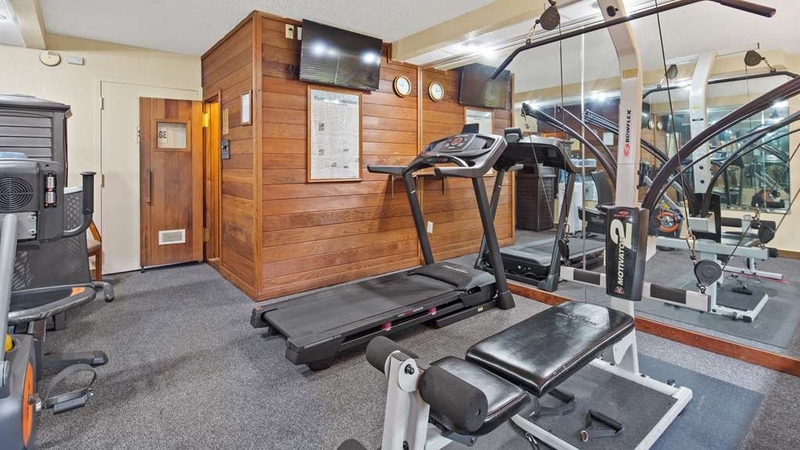 All amenities were excellent. We will definitely stay at this motel again. The staff was attentive to our needs. They helped with recommendations for local restaurants and directions. Good old southern hospitality . I'm glad you enjoyed our "Southern Hospitality!" Please do come again when you can! "A Family Friendly Place to Stay"
The rooms are clean, the staff aware and caring. I was traveling with a 91 year old dementia parent. The trip necessary because Mom 's( dementia ) brother fighting cancer has been told the end is near. This hotel heard me when I made the reservations and did everything they could to make our stay safe and comfortable. What ever I asked for and I really didn't ask for a lot, but what ever the staff did their best to help. Thank you to the staff and Doug the General manager for making a difficult trip easier then we could have hoped for. Although I am sad about the reason for your visit I am very glad that you had a good experience with us. If you do need to come again, we would love to have you! Great hotel close to the tracks. Value of hotel was great and staff did an excellent job getting room ready for an early arrival. One thing that would be nice is a lounge or restaurant opened back up within the hotel again. Hotel pretty much sits in the middle of nowhere on the outskirts of Cairo, with only a convenience store across the street. But it's about a mile to town, where there are numerous fast-food places. The lobby and the rooms look better on the inside than from the out, which could stand some exterior work. Room was clean and staff was friendly. For the money, it was fine. The hotel had a nice breakfast spread which is always a plus. The room was clean and the bed was comfortable. Those two things matter the most to me. I would stay there again if in the area. Thank you for the info TripAdvisor reviewers. Was pleasantly surprised when arrived at this hotel. Was greeted at the front door by the manager Doug, all the staff we came in contact with were very friendly. 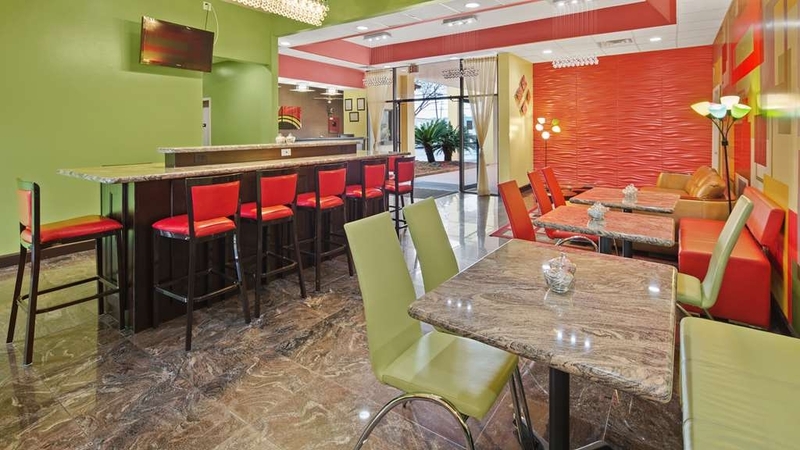 This is an older hotel but has been updated, modern lobby and the rooms were very clean with a microwave and frig. The complimentary hot breakfast was very good too. We stayed at this hotel for a FSU footbal and the drive to Tallahassee was easy and beautiful. Will stay at this hotel again! How nice!! Come see us again soon! When on the road a lot, it is good to know you can stop where the staff will do what they can to make your stay comfy. Every place has limits. This is a place the company has picked for us to stay when in town and for that I am greatful. That is so kind! I look forward to your future visits. Thank you for your comments Michael! I'm glad you stayed with us. I'm sorry for the problem with your laptop. We do have technical support available. I don't know if you were able to call them? I hope you will come stay with us again! Enjoyed the stay, enjoyed the pool. Very clean room. A very nice breakfast. A great location, close to down town and two miles from our location we were visiting over the weekend we were there. They gave us a military discount. Plus Ms Sherry at front counter help with anything we needed and she was still in good spirits after working a double. Sherry is a real blessing and she was thrilled when I shared your comments with her! I hope you can come again and see us soon. Everything was better than I could have ever expected. The staff was my family for 3 months!!! I was treated better than royalty. I loved these people with all of my heart, it took away the feeling of emptiness living on the road as a contractor. God bless each and every one of their kind souls!!! Thanks Phil! It was a pleasure to have you stay with us. Don't be a stranger! I have stayed here at least six times over the years. This trip was two nights. I was very pleased to discover that it has been nicely remodeled with new furnishings. 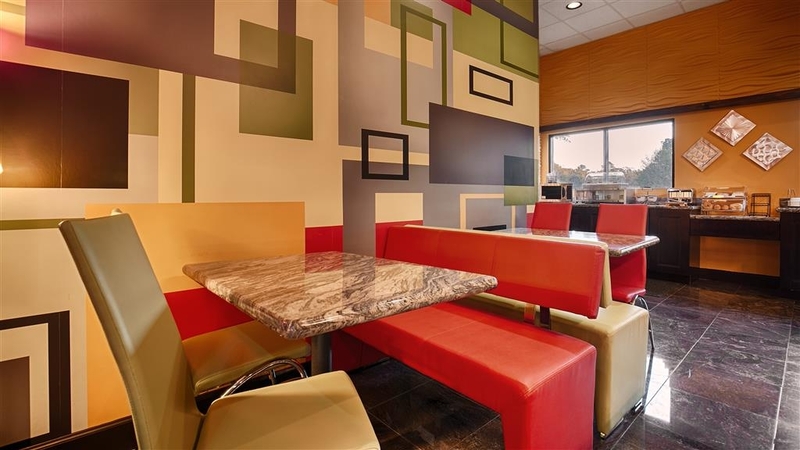 The lobby breakfast area has been completely redesigned and upgraded. The staff really wants you to have a good experience. Thanks to my housekeeper (Cynthia) for her helpfulness. It is 30 minutes to Tallahassee. The local Mr Chick restaurant is a unique destination with good food. I liked that you said that our staff wants you to have a good experience, because we really work hard at that! We look forward to your next 6 visits! Had a great stay. Every staff member I encountered spoke to me. The facility is clean and recently updated. The breakfast had a good variety including hot food. The evening desk clerk lady helped me several times. Doug was friendly and helpful in the morning. The wifi worked well. Sorry my pictures will not upload. Great! I hope you come back soon! A very good place to stay, en-route to florida.We stayed at a weeked, so the stay was a bit noisy. It seems that americans have week ends away, and as we have found on our road trip, they are a little bit noisy on Friday and Saturday nights. However, this is to be expected. Th rooms were big and clean, and the breakfast was typical of the hotel type. We enjoyed having our friends from "across the pond!" Come back and visit real soon! "Nice, clean and GREAT STAFF"
Our air conditioner tore up and we had to go stay at the Best Western until it could be fixed for a couple of nights. My handicapped mom could not take the heat. Everyone was so good to us the service was great. The rooms were very clean and nice. We really enjoyed the pool and breakfast. Best Western was a life saver! I know I can't live without AC!!! I'm glad we were able to help out. Come again anytime! It was dark and we missed the hotel the first time we passed it. The exterior was plain, dark and haunting. However, my wife and I discovered that the rooms were surprisingly nice and comfortable. It is an older motel, but all of the rooms have been refurbished and updated. Staff of the motel was friendly and helpful. An overall pleasurable experience. The exterior just needs better and brighter lighting. Thanks! It looks like you arrived about 8 PM. If the automatic lights had not turned on yet it was probably dark. It's the time of year for us to set it earlier! See you again soon. We decided to stay at this property due to the fact that it was located away from the projected path of Hurricane Mathew; we needed to be at least 150 miles west of the coastline and at least north of Jacksonville. We also were aware of the positive reviews concerning the friendly staff. This was certainly the case, starting with Tasha at check in, so happy and helpful, along with DeAnn and Jasmine on the night shift, doing double duty as security monitors. Mornings are made brighter by the fine attitude of housekeeper Dorothy, who keeps everyone laughing, all under the watchful eyes of Sherry and Doug, the GM. While it is admirable that this property is considered pet friendly, and certainly needed at the times of storm evacuation, it would be a bit advantageous to restrict pets to just the lower floors in the future. Thank you for your very thoughtful and constructive comments! I'm glad we were able to be your refuge in the storm. I passed your comments on to all the staff and they were so happy! Come again! Even if there's no hurricane! Nice! 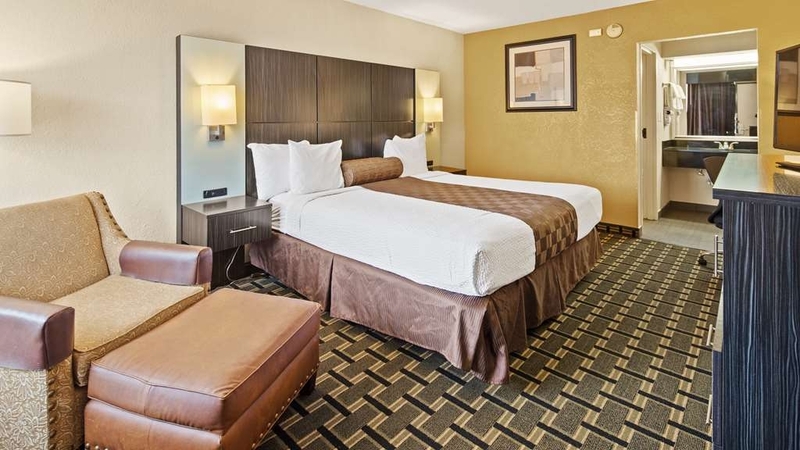 Over a two month period during my father's illness, I would book a room at this Best Western for two to three days at a time to rest my mind /body. I can tell you for sure that the rooms were very accommodating. Housekeeping was outstanding. ..Thank you Ms. Dorothy and Ms. Shirley. Also, breakfast was excellent and served in southern friendly warm hospitality style. 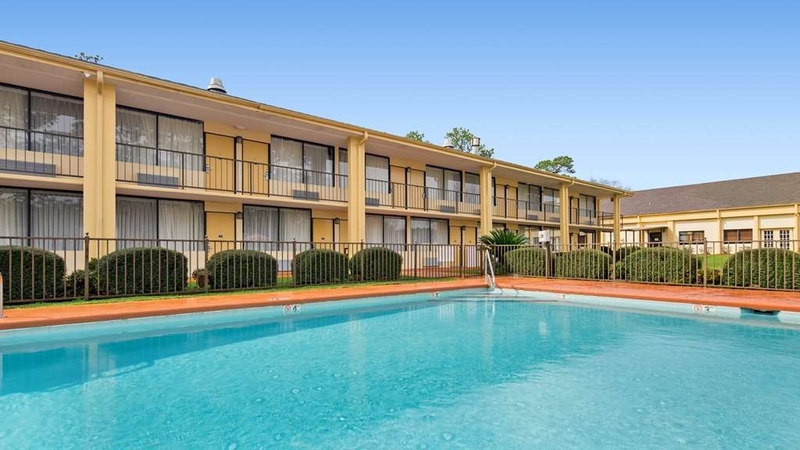 Other than lacking an onsite laundry facility, you would be pleasantly surprised with this Best Western in Cairo, GA. Thank you so much! I'm glad we were able to give you the rest you needed. Come back anytime! I wouldn't think I'd be giving a best western in the middle of Podunk Georgia a rating of 5, but they certainly deserve it. Southern hospitality is alive and well in this town, and more importantly in this hotel. The staff is the friendliest I've ever seen. They all smile and talk with you no matter what they are doing. We stayed here as evacuees of hurricane Matthew. I didn't have high hopes when we reserved but they were pet friendly and out of the storm's path. Reserved over the phone and had no issues upon arrival. We had 4 adults, a 1 yr old, and two dogs. The rooms are extremely clean and updated, the beds are comfy and the facilities, while not much to look at from the outside, were above expectations. There was a nice tree-lined area for the dogs to play (though not fenced). Housekeeping was extremely friendly and quick, and extra supplies were happily handed out. To top it off, they hosted a hurricane relief party for the guests and provided pizza, soda, and beer. I mean....who does that?! Incredible. Please stay here if you are in need of a room in this town, or anywhere even close by. It's well worth it. Sherry at the front t desk is awesome and helped us extend our stay in our desperate hurricane situation. I can't say enough good things about this place, and this town in general. Everyone was as genuine and nice as could be. Thank you for making a very stressful situation a LOT better. That's one of the best reviews I've ever read! Not sure what else to say, except I'm glad you came and stayed with us, and hope you will again! I didn't have high hopes, but I was wrong. Updated, well decorated, clean, friendly staff - this place is a huge winner. Stay here for sure. Someone who cares obviously operates this place. Even the breakfast area is modernly and pleasingly decorated, and it's a decent breakfast. And we were there on a full hotel because of Hurricane Matthew. "Peaceful for Weekend Business Trip"
This is a somewhat older hotel but it is in very good condition. All rooms open to the outside so security could potentially be a problem. Room was clean and neat. Bed was very comfortable. Air conditioner was a little noisy and cycled on and off throughout the night. Breakfast was included and was adequate; better than some hotels we've stayed at, but not as good as some others. One minor problem was that the commode had a slow leak from the tank that made it cut on to refill the tank at intervals. With the bathroom door closed this was not a real problem through the night. We mentioned this as we checked out and were assured that they would take care of this. Thank you for your thoughtful and thorough review! We're glad you chose to stay with us and hope you will come back soon! "Great place to stay in Cairo Ga."
Love this hotel, everyone is so nice and room are so comfortable and clean. Staff is the most considerate I have meet in a long time. You did not have to ask twice for anything, and this hotel offers a nice breakfast. Great place to stay in Cairo GA.
That makes me so happy to hear! We are not perfect, but everything we do is designed to deliver a superior guest experience. I hope you come back and see us soon! Place was nice and tidy just like my room.Staff was very friendly and polite.Breakfast was nice and fresh.For a small town I was impress.I also felt safe while I was there. I would recommend this place to others. Your encouraging comments are very appreciated by our staff. Thanks! Hope to see you again soon. The Best Western is right in town. The employees are helpful and they know the area. The rooms are well taken care of. We will definitely stay there again. I would recommend this location to anyone who is passing thru that area. Thank you so much for your kind words! I hope you come back soon! "Great quality in a small town"
"Decent, no frills place to spend the night"
I've stayed here for 1 night 2 weekends in a row. First night I stayed on the first floor. I do not recommend staying on the first floor. They allow pets on the first floor, and even though I travel sometimes with my dogs, I don't even like staying in the pet friendly rooms when I have my own pets with me, just because they're not always the cleanest rooms. This was no exception. There was a piece of dog kibble on the floor that had not been vacuumed and my first trip to the bathroom in the morning was greeted by a small roach, which is unacceptable to me. I grew up in Florida, so I know all about how hard it is to keep them out, but I manage at my house to not have them by keeping up with the spraying for bugs. I certainly expect the same from any hotel. The second night I stayed, I requested a room on the second floor. It was much better. Very clean, no dog kibble, no bugs (thankfully). I recommend wiping down the toilet seat with a damp tissue and drying it off before sitting on it, b/c whatever they clean it with leaves a sticky residue. Breakfast is nothing fancy. I've definitely had much better, but if you need a decent place to stay overnight while in Cairo, this will do. However, the price is very expensive for the area. There simply isn't any competition. There's only 2 hotels in Cairo, so there is nothing to keep them from gouging you on price. I've stayed in much nicer hotels for the same price. First of all, thank you for staying with us twice. As far as your issues on the first visit, I'm very sorry. That was not up to our standards! As far as your comments on the toilet seat it's something I have not heard before but I have spoken with the housekeeping manager and have taken your recommendations to heart. Hope you can come again soon! "These people know how to do it right!" I travel extensively for business. 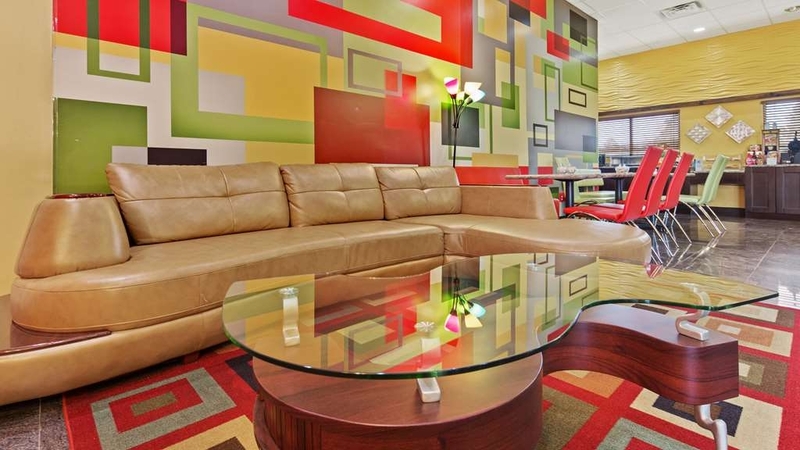 I can't tell you how wonderful it is to find a hotel that is clean, fresh, and attractive. The employees are warm and friendly. The breakfast spread was good. This was the first time I have stayed there and I definitely will be back! I enjoyed meeting you and look forward to your return! "Quality of staff & accommodations"
The staff and accommodations were excellent. They aim to please! The location is perfect and very quiet and safe. I would recommend it to anyone. I've stayed there for several years and never had a bad experience. Kudos to the staff! Yay!! I hope you come and see us for many more years! The rooms were clean and the staff was very helpful with my accommodations. Called very late with little to no hope only to be welcomed with a smile and a room. I was so grateful. For the customer service alone. I will definitely stay at this property again. Your words warmed my heart! We all work very hard to make our guests feel comfortable and welcome. Hope to see you again soon! I stayed at this hotel years ago and the room was horrible. Since that time, I have been staying at the Best Western in Thomasville. After finding out that the hotel had made improvements (remolding), I decided to give it another try and over the past weekend, I was very impress with the upgrades and high quality of bedding. I no longer has to stay 15 miles from my relatives on holiday visits. 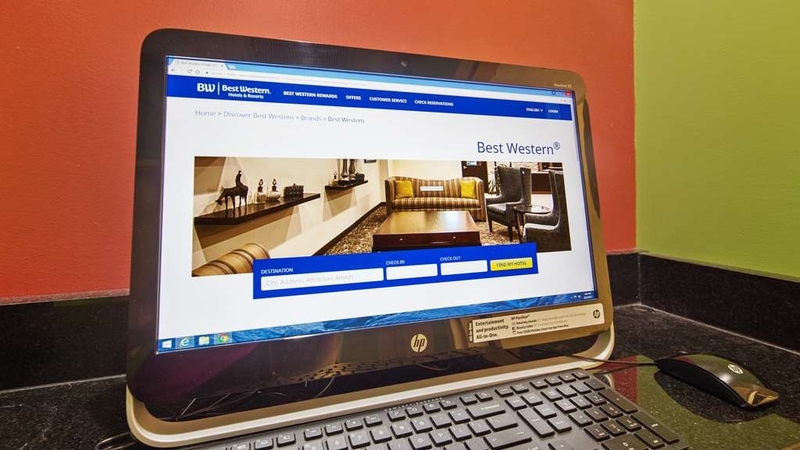 I'm so glad you took a chance and checked out the "new and improved" Best Western Executive Inn! We look forward to many returns! "Social circle high school athletic director"
What a joy to stay here! Rooms are beautiful and clean. Great service, everyone was helpful and friendly. They made us feel like we were at home. The team enjoyed it and want to come back. The staff is so accommodating and rooms have been newly renovated. My wife and I stayed at this hotel to attend a friends' wedding in Cairo, Georgia. The wi-fi internet in the room was spotty, and it disconnected itself without notice, leaving me in the middle of e-mail, on the internet, etc. I spent 2 (plus) hours on the phone with thier internet / wi-fi provider, and at the tech's behest, had the hotel reset one of thier routers, but there was no change. Unfortunately, this was one of only two hotels in this town, so our options were limited as where we could stay. I would have rated it higher, except for this issue, as the breakfast was good, the room was adequate (for this price range hotel room) and the other amenities were fair (one ice machine for the whole building was a slight stretch). I would not stay at this property again unless I could insure that wi-fi internet service was restored in the guest rooms. I am sorry you had this experience. We know how important a good internet connection is. We are having our technical support company come on site to diagnose and fix this problem ASAP! Nothing fancy, older property but all was clean and well maintained. This was more then acceptable. I stay in many hotels for work. This rates as one of the better ones. Would stay again. There is not much to offer in the Cairo area, this hotel is definitely top of the line in this area!! Thank you Nadine! We hope you come back soon! 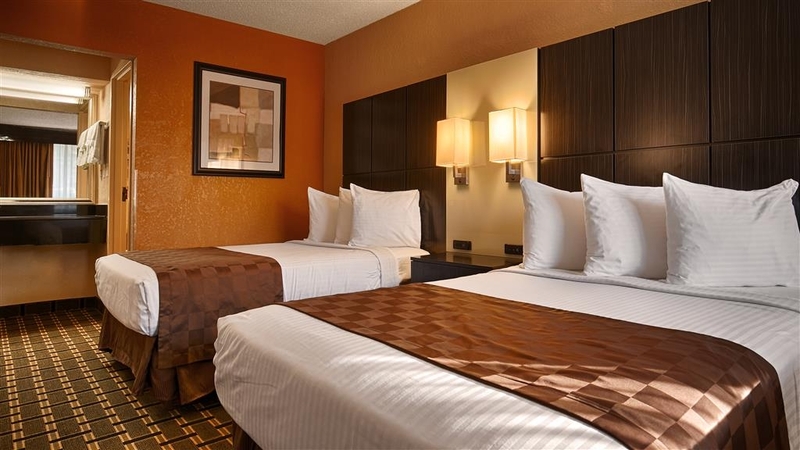 Rooms clean, service excellent, wait staff extremely helpful and concerned. Wouldn't hesitate to return Really thank all the peoople who made our stay so enjoyable. With the actaivfity at the hotel, all weekend, they did a superb job. I'm glad you had such a great stay! We enjoyed having you all. On a family holiday from Ireland, we were hoping to stay in a classic motel. We drove an extra few miles just off route to stay here as it looked exaclty like what we wanted. It exceeded our expectations. It was exactly that classic style and we loved it! It was perfectly clean and safe, just out of town. It has become a very memorable part of our trip and I would love to return if I was in the area again. Only downside is I would probably give the breakfast a miss and the restaurant/bar was not open when we arrived but overall the perfect overnight stay on the road. Thank you very much for your very kind words! We hope to see you agin the next time you visit us from Ireland! I usually do not stay at hotels with outside room entrances but pickings are slim in this area. This place is in a quiet, safe area and is spotless. It has clearly been recently remodeled and is clean inside and out. For the money, it is a gem. Thanks for staying in our "gem!" We love exceeding our guests' expectations! Thanks for your kind words. Staff very friendly and helpful. Room set-up very good. Bed was too hard for me as I have a bad lower back. That was the only downside for me. We will stay there again anyway when we travel back down south. Thanks for taking the time to give us your feedback! We enjoyed having you stay with us, and look forward to your return! The room was immaculate! The staff was extremely friendly. Dorothy was one of the sweetest nicest people ever! She went above and beyond to make sure all house keeping needs were met. You can tell she takes pride in her work and making sure the guests are satisfied. Sherry checked me in, she gave me the Internet code and took very good care of us. She was so outgoing and friendly and each morning we were there she was always making sure the breakfast area was stocked and clean. Our room was freshly decorated, and beds were comfortable. I recommend Best Western of Cairo if you ever are in the area and need a good, clean place to stay. I was so thrilled to read your comments and I shared them with the staff! We hope to see you again soon! Great place to stay ,very clean and extremely nice staff , Nice Lobby and modern Guest room , 2 USB charger and Electrical outlet by both side of the bed awesome I recommend this hotel to everyone traveling to that part of the south Georgia , by the way very nice hotel layout one side you can park your car by your Room and other side extremely nice landscaped huge ground and swimming pool awesome !! We enjoyed having you stay with us! And thank you for your very kind words about our facility! We have put a lot of time and work into making this a great place. That, along with our super staff, does make it the "best hotel in the area!" We hope to see you again soon! "A Quiet Place to Write a Book"
I stay with Best Western when i come home and they have all ways been very friendly and hospitable. the rooms are all ways clean and comfortable. i rate this hotel Outstanding. I would Recommend this hotel to all my friends and family and i intend to stay here again and every time i visit my family. "What do you need in a hotel room?" When booking a room for a night there are certain things that are expected. I like a nice hot shower after a day of traveling, to relax in front of the tv and to check my email. This Best Western is supposedly an award winner. The rooms look great! However the shower head is a water pic, impossible to get a good water flow. The towels are small, rough and not plentiful. To log on the internet you need a code that is not given to you, a call to the office can fix it but why not just give it to you on check in. After a shorter then desired shower I turned on my tv 5 min early, ready to sit back and enjoy a favorite show. However the cable was out. Another call, which lead to a visit from the night manager. Got it fixed - great! Changed the channel and it stopped working again. In she comes again. By the time it's fixed it's 20 after, too late to sit back and enjoy my show. So bad shower, tough to use Internet and terrible tv. What's left? The clerk through all of this was sweet and polite. The room is clean and it's just one night. Tomorrow night I'll be home. And next time I'm in the area I will plan to stay elsewhere. I am sorry for your experience. You should have been given the password for the internet upon check in, and the TV should have been programmed to work correctly. I expect those things when I am at a hotel as well! AS far as the other things you mentioned, we will take your comments and use them when making purchasing decisions in the future. Thank you for your positive words about the room and about our front desk agent. I appreciate it! "Nice place but housekeeping needs to be retrained "
Happy with the hotel and price however I went out and when I returned to my room the wash cloth I had washed my dirty body with was sitting on the nightstand, and the counter and nightstand smelled like my body wash, this tells me that the housekeeper used my dirty washcloth to clean my room. Disgusting. I wonder if the room had been cleaned with the last guest's dirty washcloth. I am so sorry about your experience! Although we consistently get very high scores for cleanliness, I apologize for the distress that this oversight caused you. I can assure you that we do not use guest wash cloths for anything, and I spoke with the whole team to make sure they double check a room before leaving to make sure they have picked up everything that should not be there. I would like to speak to you further about this matter when you have a chance. You can reach me directly at 904-735-3432. Thanks! "Excellent customer service, clean rooms"
Spent one night at this hotel on business. It was recommended by our clients. Apparently they stay here when they are in town. ( we teach CPR and we were doing a class for an electrical company ) Very clean, extremely friendly staff. Shout out to Doug and Mrs.Dorothy :-). No frills but they do have toiletries, if you happen to leave something at home. The doors open to the outside, which I don't prefer but the friendly staff more than makes up for it. It's the place to spend the night, next time you're in Cairo. I felt so good reading that! :) I hope you do get back to Cairo at some point. If so, we'll have a room waiting for you! "Personal family and friends close by"
Holiday travel nearby to fmaily and friends accomodtions and service by staff were up to my expectations. i recommend this motel for anyone needing to stay in Cairo GA. No other accommodations in the city are recommended and from driving through the city no other motel would be close to the BEST WESTERN. LOOK NO FURTHER FOR GOOD SERVICE AND reasonable rates and acceptable quality. Too bad the adjacent restaurant was closed. Thanks so much for taking the time to tell others about your great stay at our hotel! We believe we provide a surprisingly outstanding experience for a small town. I'm glad my staff was able to meet your expectations. We strive to exceed guest expectations! I hope we can have the pleasure of your presence again the next time you are in town. If there is anything I can do, please let me know. "Great Stay In Cairo, GA"
Excellent hotel. The staff was extremely friendly and the accommodations were great. The breakfast spread was delicious. I was concern with staying in a hotel in a small town with limited tourism but the stay was very personable. They exceeded my expectations. Thank you so much for taking the time to give us a detailed review of your recent stay. As a General Manager it is great to hear that my staff has gone out of the way to cater to your needs and make sure that you were taken care of even after your check in. 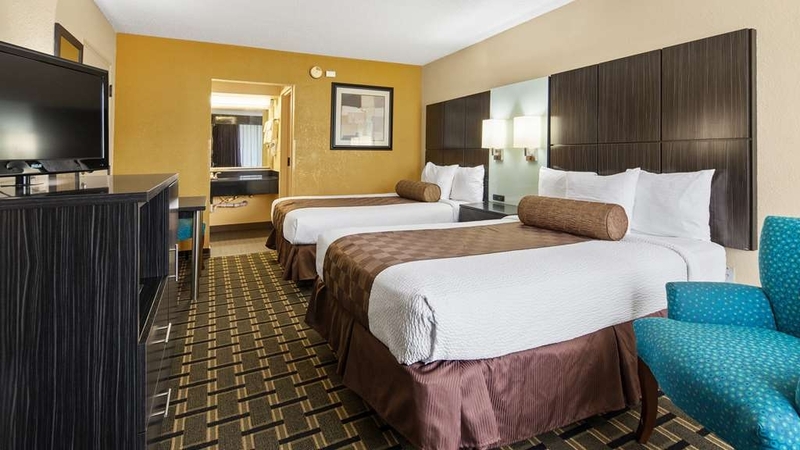 We strive to make sure our guest are comfortable. Our breakfast attendant takes the time to make sure that guest start their day with a wonderful breakfast and a smile. We look forward to seeing you again if ever in the area. Thanks for taking the time to share your awesome experience. I am delighted to hear that Mr.Craig took care of you and took the initiative to make sure that you were comfortable after you checked in. We are delighted to have him on board an knew that he would make a wonderful addition to our hotel family. He expresses how much he loves his job and it does show. Hope we have the opportunity to serve you again if in the area so that we can provide you with yet another awesome experience. Two years ago and today was in the area for business. BOTH stays in this hotel would rate above average. Once again if you're looking for Ritz...you need to get out more, C'mon Man! This is good, clean, place to lay your head for the night. Only negative is out of the managers control...street noise on the west side of building. Simple remedy: turn on the fan and sleep on... Good value when in the area... Yup---WILL stay again the next time I'm in the area. Thank you for taking the time to let us know about your stay. Thanks for your compliments on the staff, cleanliness . I truly apologize for the inconvenience you may have experienced. We are constantly working on improvements to ensure a superior guest stay!We hope to see you again if ever in the area. This is the second time we stayed in this hotel. We are very happy with room, cleanliness, ample size, frig appreciated, and internet service came in handy. We will be coming this way 2-3x a year and will continue to stay here. Thank you so very much for your wonderful review. We appreciate when our guest take the time to let us know if we are meeting their needs. 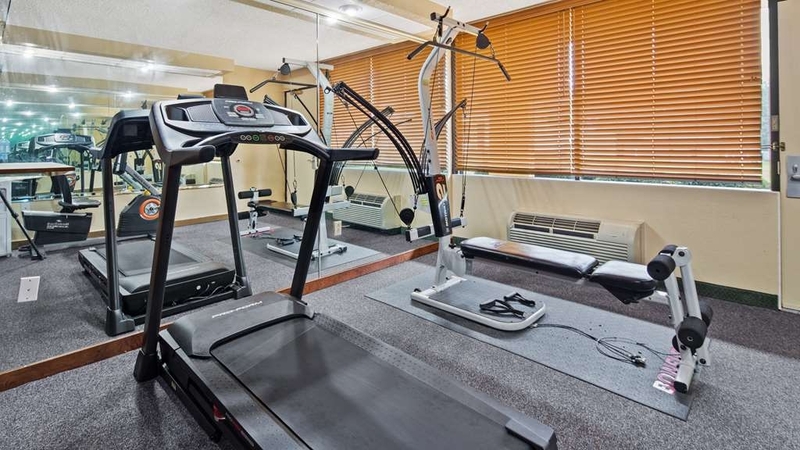 I am delighted to hear the facility provided the necessary amenities for your comfort and leisure. My staff will also be happy to know they have met your needs. We hope to see you again if in the area. I have been staying here for several years over the Thanksgiving holiday and it is as nice as any Inn I have stayed at. Safe and secure and the staff are very friendly and helpful. Will be back next year. Thank you for your recurring visits. We are delighted to know that you have been with us from years . Thank you for giving us some of your feedback. We appreciate your kind comments. I really can say that I could not ask for a better staff. They all go above and beyond to assure that all of our guest feel at home.Can not wait to see you next year. Thank you for taking the time to give us your feedback. It makes us all so happy to know how appreciated our guest are. I could not ask for a better staff. Each person brings their own special something to the group. We love making all of our guest happy.We do hope to see you again soon! This is an older property, but in extremely good condition. The staff were very caring and very professional. We stayed here toward the end of a 46-day motorcycle trip. Our special needs were met with kind and caring service and attention. We highly recommend this property and its staff. On behalf of our entire team I would like to thank you for your comments. It is always great knowing that our guest are enjoying their time with us. We all do our best to keep all of our guest comfortable during their visit in CAIRO . We do hope to see you again! Whenever I come to Cairo, which isn't often I stay at the Best Western. The customer service is always outstanding from the time I check in, until the time I check out. I was impressed with the upgrades that have taken place since the last time I visited. The Pool area is nice and clean. We thank you for your feedback. We are glad to know you enjoyed your time . Our staff really does their best to ensure all of our guest are happy and comfortable. We can not wait to see you again during your next trip. 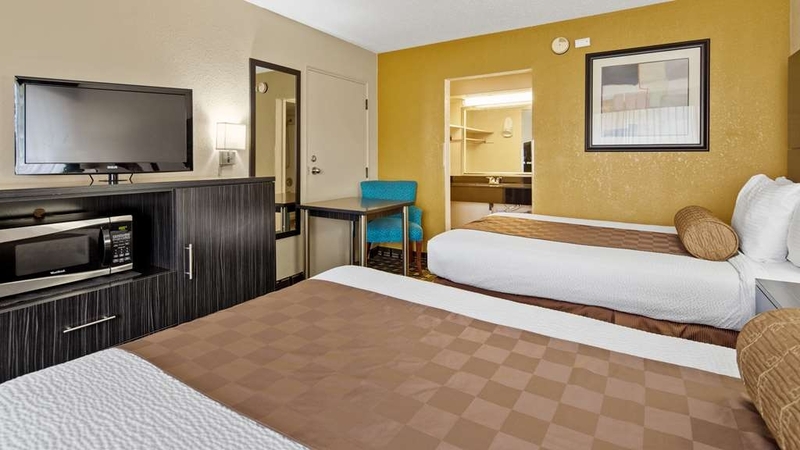 This is the first time that I have stayed at this Best Western.The hotel staff is very nice and helpful.The location is close to everything.The breakfast was good but most importantly, my room was clean.After looking at the other hotels in this small town,This Best Western is your best choice. We are so glad you made the decision to come to CAIRO . Our staff really does their best to ensure all of our guest are happy and comfortable. 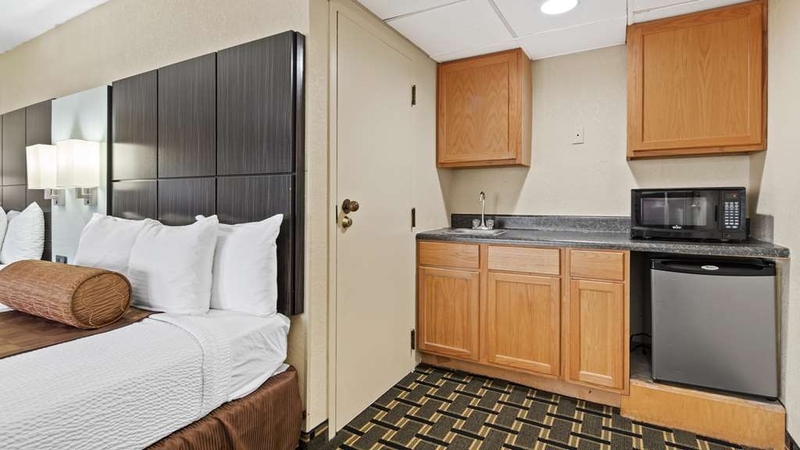 My staff and I are pleased that we are able to make your experience at the hotel wonderful and not fall short to your expectations of the cleanliness of your room And Breakfast . We can not wait to see you again during your next trip. "Great rate for trip to Tallahassee"
On parents' weekend at FSU, hotels in Tally were running $300 to $500 and more. We were able to stay about 30 north of I-10 at this hotel and saved 100's. Well worth the short drive. Front desk was able to accommodate a request at check-in to change rooms from one king to two beds (queen, I think). Forgot to mention there was a small upcharge, but it was reasonable and we were glad to get room with two beds. Would definitely stay here again. We are so glad you made the decision to come CAIRO . 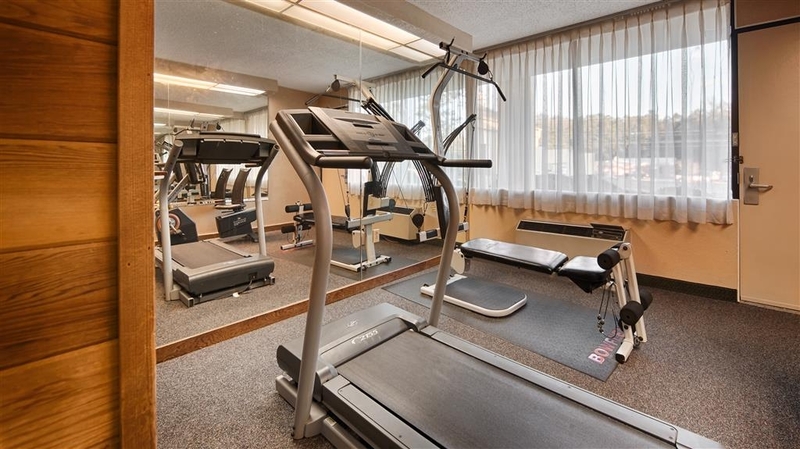 Its worth driving 30 mile to save about 200$ for same amenities of same type of rooms. Our staff really does their best to ensure all of our guest are happy and comfortable. We can not wait to see you again during your next trip. This was a very nice, newly renovated hotel with great service. The front desk employee worked very hard to find me a room for early check-in as I had to get ready for a wedding. The breakfast was very nice and a good variety. Thank you for your candid review. My staff and I take pride in what we do and we do our level best to make our guest feel more at home and ease. 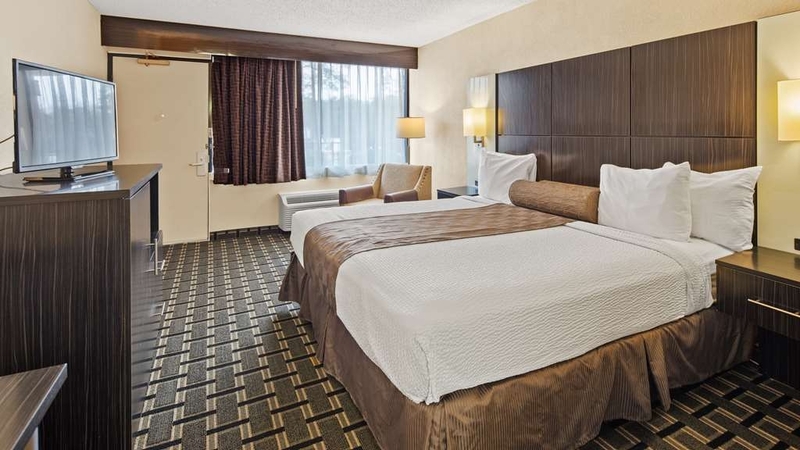 We strive to make the guest stay a comfortable and pleasant stay. With positive and kind review like yours gives us the satisfaction that we have done our job to make a guest leave our facility with a smile on the face. My staff and I would like to thank you for your kind words and look forward to seeing you again. This motel impressed my parents very much on a recent trip. They especially appreciated the cleanliness of it. The continental breakfast had a good selection of foods to choose from. Several Best Western businessmen were also staying at this motel when my parents were & commented how they would like to see all Best Westerns on the level of this one. Thank you for taking the time to review our property. I am pleased to note that your parents liked the rooms and our breakfast selection. 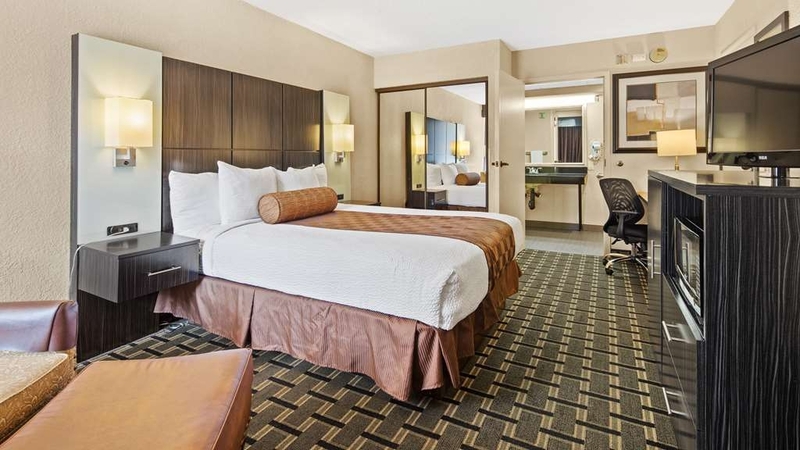 Guest comfort and satisfaction are of the utmost concern to us and our hotel is committed to making every possible effort to provide comfortable, clean and friendly accommodations.We thank you for your stay and hope to see you again. "Hotel accommodations for Wedding guests"
Best Western Cairo GA, Craig was the absolute best and friendliest person, From check in to leaving he was a top notch professional. We stopped in 2 months ago to view the rooms before booking a large crowd here. Craig was very attentive to our needs and constantly made sure we didn't need anything. The housekeeping staff were wonderful and friendly. Craig kept thanking us for staying there. Breakfast was the usual continental breakfast fair but very hot, fresh and the area was very clean. Rooms were also very clean. Doors shut very tight so no critters could get in. My only problem with my room was half the lights and plugs didn't work. I didn't complain because I wasn't in the room long enough with running with the wedding plans. Our refirgerator was on the lowest setting and it froze everything including the beer. Now, Craig knew we had a large crowd arriving and my one concern was that the bar was now permanently closed. So we asked if it would be OK to sit around the pool as long as we were quiet. They didn't have any issue the first night. The second night Beverly came and told us she had to lock the pool at 10PM. We explained that it would be very noisy if we all went to one room and talked and it would bother other patrons more so. So she let us sit outside, we were all very polite and quiet. NO complaints were turned in on us. UNTIL the one owner Sanjita Patel apparently drove by and called Beverly and told her to close the pool. Beverly was very upset that she had been ordered by the owner to close and make us all go inside. Some of the people went to one room and I know they got noisy because I could here them in my room. I apologized to Beverly for getting her in trouble. I would probably not stay here again if we had something going on only because we were denied socializing with our out of town relatives and guests. And not because of Craig and Beverly who went above and beyond for their guests. Mind you some of the people that were staying there not with our party were also socializing with us. We weren't rude obnoxious people. But with owners like that I would not want to give them my money when they are so rude. First if the owner had an issue she should have confronted us face to face vs going thru an employee. I send a Big thank you to Craig and Beverly and hope they get a raise for being the best in Customer service. But with these owners its probably never going to happen. Thanks Again for making our stay wonderful. Thank you for you candid feedback both good and bad. First and foremost, I am sorry about the Pool issue Unfortunately we going by our pool hours which is 9 am to 10 pm . we were not denied you socializing with your out of town relatives and guests. I am glad to hear that we were able to meet your needs and demands in the other areas of department regarding the socializing at pool area .. We strive to meet the guest needs and perform at out utmost level. We do hope to have the opportunity to welcome you back in the future, so that we can provide a better experience. "Motel with no interior corridors." This is an older motel remodeled some what. Rooms are clean, but beds not comfortable and noise from a/c is loud. Bathroom very small, but rooms have refrig. and microwave. Breakfast is not very good. Biscuits were stale. Just pre- made egg patties, sausage, waffle maker. Thank you for giving us your feedback. On behalf of our staff I would like to apologize for not meeting your expectations. Our staff tries really hard to go out of their way to make sure all of our guest feel welcome. I apologize if you did not feel that way. We do hope you will come and visit us again. Clean but outdated. Only hotel in town so if you need to be there you have no choice! Room quite small, had a strong perfumy smell. However it was very quiet and the employees are wonderful. Breakfast was adequate. This is one of the older hotels, however, it was one of the cleanest we have ever been in and Craig, I believe that was his name, was one of the most pleasant people we have dealt with. Would stay here rather than any place in Tallahassee. We are so glad you made the decision to come CAIRO GEORGIA . Our staff really does their best to ensure all of our guest are happy and comfortable. We can not wait to see you again during your next trip. This was a great place to stay, exceptionally clean, and beautifully decorated. We like a little softer bed, but that's our preference. Staff was real friendly and helpful, would recommend to others and would stay again myself. Thank you for giving us your feedback. Our staff tries really hard to go out of their way to make sure all of our guest feel welcome. Our staff works very hard everyday to keep our facility above and beyond par. Thank you for your recommendations and hope that we get to see you again as well!! Thank you for giving us some of your feedback. We appreciate your kind comments. I really can say that I could not ask for a better staff. They all go above and beyond to assure that all of our guest feel at home. We are thankful that you have chosen our facility as your place to stay while visiting Cairo.We hope to see you again soon! We have made this our regular stop when we go to night games in Tallahassee, and it has always been a great experience. Craig has always been very helpful and friendly! On our last trip I messed up and got a smoking room which is a big no-no for my wife. Beverly was able to get us into an out of service room, saving the day! It's always a pleasure having you. My staff just loves having you here. Especially Craig and our night staff.We do try our best to make everyone comfortable and happy . Your comments are greatly appreciated. We do thank you for your stay and we do hope you will come again. Thank you for taking the time to give us your feedback. It makes us all so happy to know how appreciated our guest are. I could not ask for a better staff. Each person brings their own special something to the group. We love making all of our guest happy. "Greater than Expected! Nice Place!" The motel was really nice, rooms were very clean. And they have a nice Complimentary Breakfast from 6am-9:30am. Staff was really nice as well, and the pool is very clean.The house keeping was very helpful and pleasant. We are so glad that you found everything wonderful during your stay. We gladly appreciate your business. It is always a pleasure knowing that our staff tries to provide superior customer service to all our guest. We can not wait to see you again! Very welcoming, friendly, and helpful staff. Newly renovated lobby and rooms for a magnificent stay. I've paid much higher rates at other BW properties for not as high quality of hotel. This is a steal for the rates offered. Would recommend everyone to stay here for business or leisure. Thank you for your candid review. My staff and I take pride in what we do and we do our level best to make our guest feel more at home and ease. 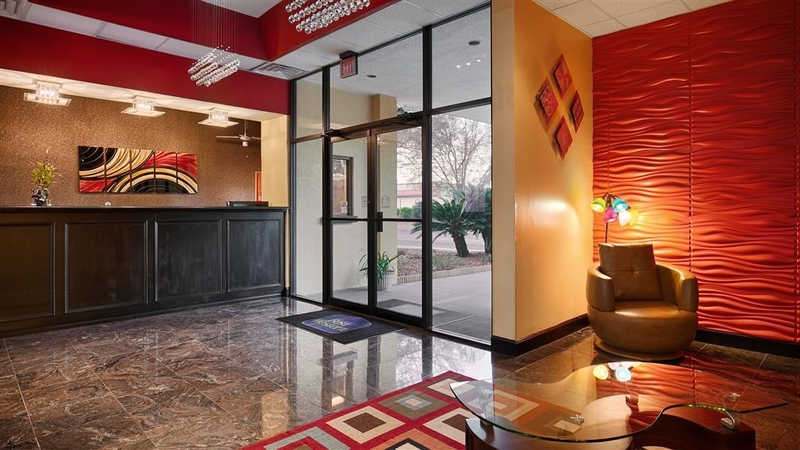 We strive to make the guest stay a comfortable and pleasant stay with no issues or complications. With positive and kind review like yours gives us the satisfaction that we have done our job to make a guest leave our facility with a smile on the face. My staff and I would like to thank you for your kind words and look forward to seeing you again.